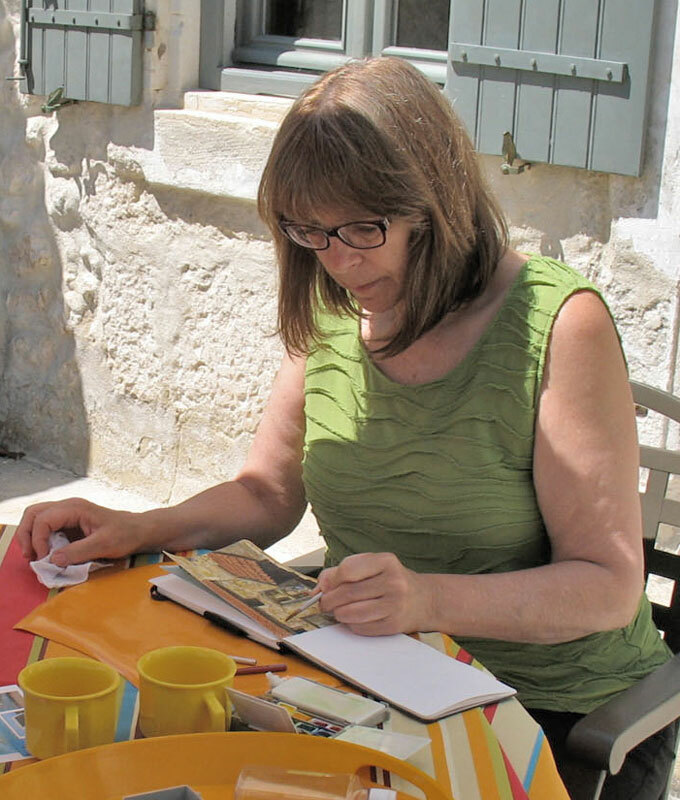 Kristine Kirkeby, natural science illustrator, and longtime GNSI member and powerhouse is the 2016 recipient of the GNSI Special Projects Award for her visionary project, The Soul of Sketchbook. Kristine conceived of a presentation showcasing sketchbook drawings and preliminary sketches – the behind-the-scenes illustration work that leads to the finished composition that is shared in print or display. She put out a call for GNSI members to share their sketches and received an overwhelming response. The Soul of Sketchbook slideshow features sketchbook images from twenty-six illustrators who share their favorite artwork as well as thoughts about the sketchbook process. It has since been digitized and is undergoing editing with a tentative video release of fall 2016. Kris Kirkeby originally presented The Soul of Sketchbook in 2002 at the GNSI Annual Conference in Lawrence, KS. Kris writes of the project: “Science Illustrators are artists in the service of science. We use scientifically informed observation, combined with technical and aesthetic skills to portray a subject. Our artwork follows in the long tradition of our profession where attention to detail and accuracy is paramount. Within our profession, some artists have an interest in several fields of science, which is reflected in their subject matter such as plants, animals, and insects that are painted, drawn or digitally produced. Or they may specialize in specific fields of science such as botany, paleontology, insect, reptile, or avian sciences. Kirkeby is a freelance natural science illustrator, educated in biology and fine arts. She served as an illustrator, graphic designer, and photographer and Director of Biological Sciences Art Services at the University of Minnesota before beginning her freelance career. She works in acrylics, watercolors, scratchboard, and pastels. Her subject matter which includes illustrations of lichens, birds, mammals, and plants are produced for textbooks and scientific journals. She designed, wrote, and taught a multidisciplinary art and science curriculum and has trained more than twenty instructors to teach her Audubon in the Schools program. She also teaches classes in nature drawing, sketchbooks and drawing journals, and basic drawing for schools, colleges, and community art and nature centers for students – ages 4-84. Now semi-retired, she lives in Eugene, Oregon, where she concentrates her efforts on watercolor artwork. Kris Kirkeby has served GNSI in a myriad of ways. She chaired the 1990 GNSI Minneapolis Annual Conference; she served as president from 1992-1994; she was instrumental in the formation of the Education Committee, served for a number of years on the Nominating Committee, and is the 1998 recipient of the GNSI Distinguished Service Award. She is active in the GNSI Oregon Group.